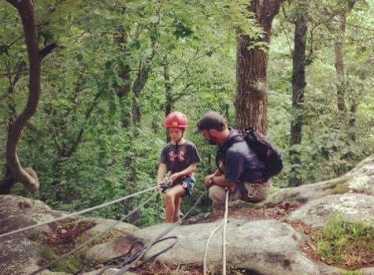 Rappel an 80' scenic rock outcropping near DeSoto Falls with One World Adventure. 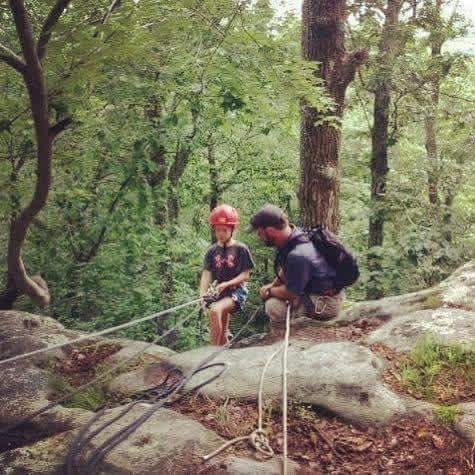 No previous experience is necessary to go deeper into nature in this exciting activity! Dress in light fitted clothing with hiking boots or tennis shoes. Long hair should be pulled back. Pack a reusable water bottle and snacks. Great for ages 12 to adult.